August 18th and 19th the Buffalo Niagara Scottish Festival will return to Buffalo Niagara Heritage Village for its 34th year. The Festival celebrating Scottish cultural heritage will feature highland games (5 world records have been set on the BNHV field), gathering of the clans and massed pipe bands, world class Celtic music, dancing and workshops, Celtic marketplace, local craft beer, wine, mead and scotch, Scottish and American food, Scottish cultural demos and programs, and much more! Saturday will offer exciting band and solo pipe and drum competitions, the Scottish American of the year ceremony, and feature performers the Mari Black Trio, Billy Craig, and a traditional sessions All-Star Jam. Sunday will offer a Kirkin' o' the Tartans ceremony, fiddle and pipe and drum workshops, and feature performers the Mari Black Trio, Billy Craig, and McCarthyizm. Judy Larkin, certified tea specialist, will also present 4 one-hour lectures on the Scottish connection to tea throughout the weekend. Lecture will be offered at 12:30pm and 3:30pm on August 18th and 19th for an additional fee of $10. Lecture includes tea tasting and scone. 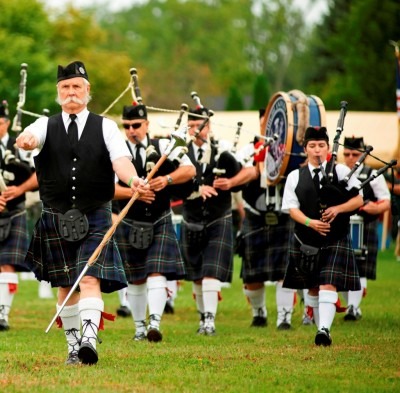 Buffalo Niagara Scottish Festival will be held in the Museum’s Historic Village from 10:00am – 9:00pm on Saturday, August 18th and 10:00am – 8:00pm on Sunday, August 19th. Enjoyment of the Museum’s 10 exhibits and 11 historic buildings, from 10:00 am – 5:00 pm each day, is included in the admission price. Adults are $13, Seniors and Military are $11, Members are $10, and children 12 and under are free. Weekend passes are offered at a special rate of $20.